When trying to image surfaces and their atomic structure, an atomically sharp tip can be used to accomplish this. The final result of making these tips can be hard to evaluate since, if they are sharp enough, the tip will be invisible in an optical microscopes. 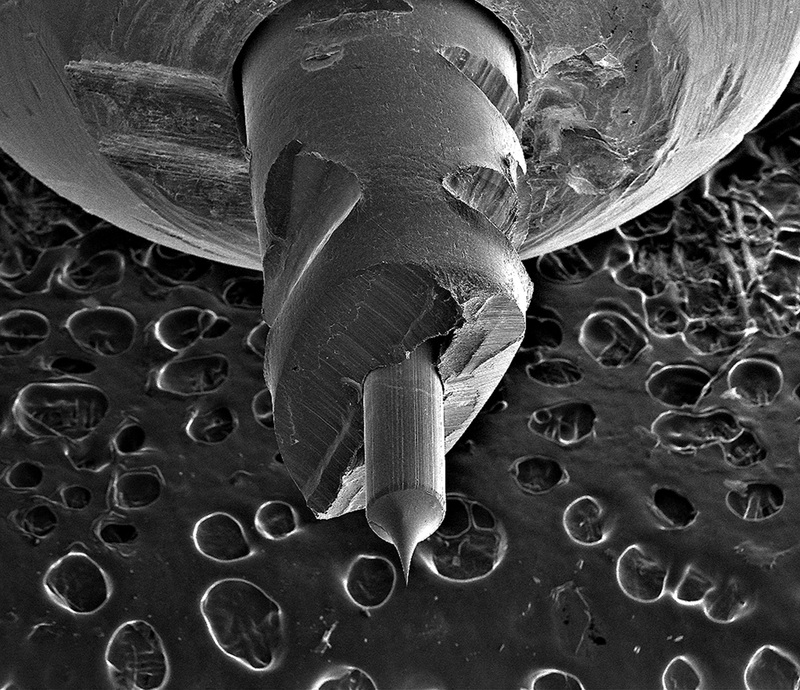 The sharpness of this tip can not even be resolved with a scanning electron microscope. It is so sharp that it could easily puncture a bacterium.